A new Mélilot shirt was on my Make Nine list for this year. I’d made a couple of short sleeved dresses from this pattern in the past but I wanted to make the full length sleeve option. This Deer and Doe pattern is definitely a firm favourite of mine. I like the hidden button placket and the cute curved collar. It just seems so neat! I really wanted to have a go at the sleeves though this time. They use the traditional sleeve placket method which I’d never done before and I’m always eager to learn new things! 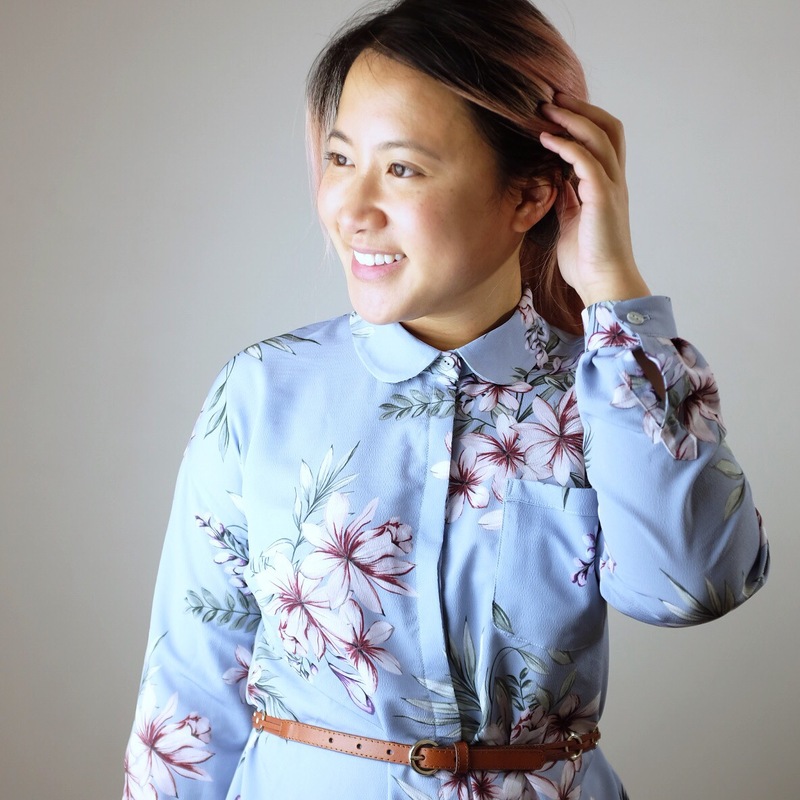 I’d initially planned to just make a regular shirt for this make but I’d ended up with enough fabric to make a dress lengthed version and I just couldn’t help myself! I’m super proud of how the sleeve placket and cuffs turned out! It was my first tim3 making this style of placket! It’s a very “finished” garment if you know what I mean. I love how polished the Mélilot always ends up! 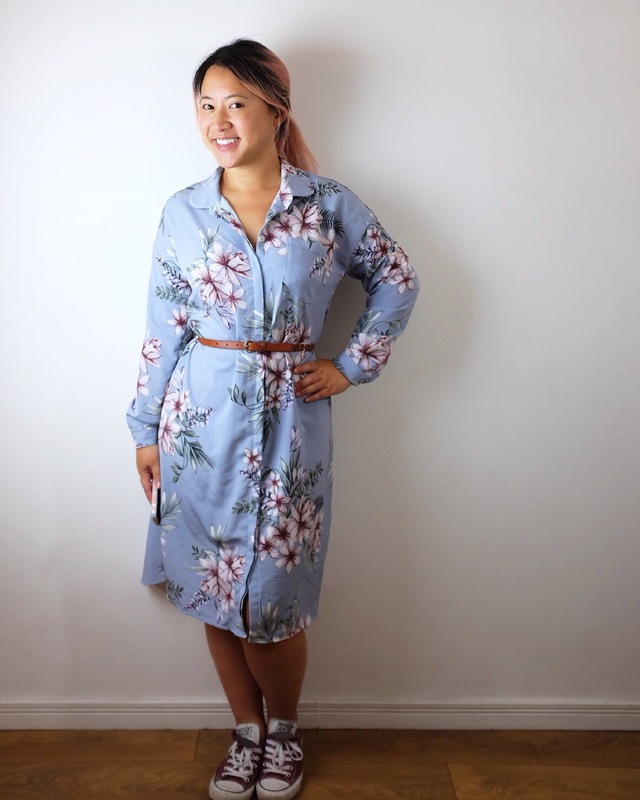 Lovely shirt dress 🙂 Length-wise I would shorten it a bit – ie tunic length to go with leggings and pumps. I like how you kept the dress closer to your body – the hidden button placket, collar and cuffs are fabulous. I think this just looks 100% classy! 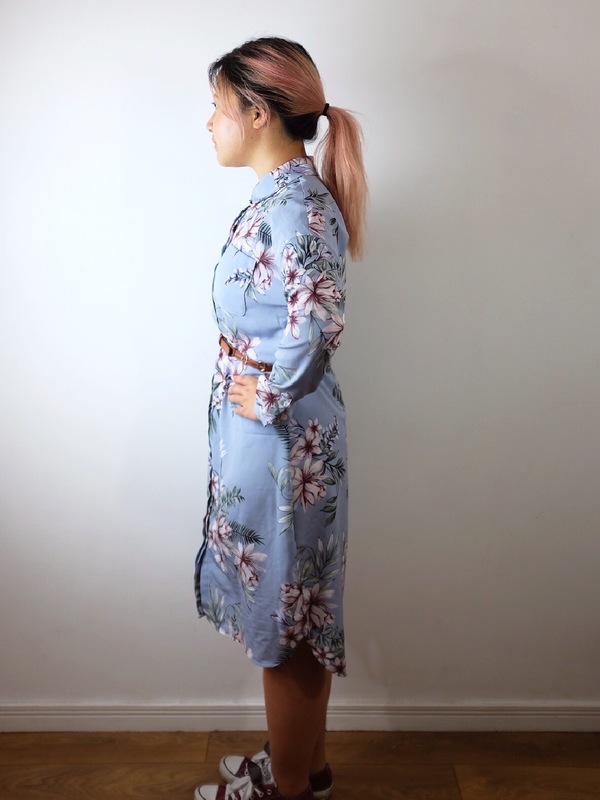 It fits wonderfully, and even though it is a bit longer than you usually make, I love this length because you can be super casual and comfy or put heels on and make it more formal. Love the print, and I agree that is a really nicely shaped collar. 🙂 Hope my shirt for DH goes as well as this went for you. That’s gorgeous! 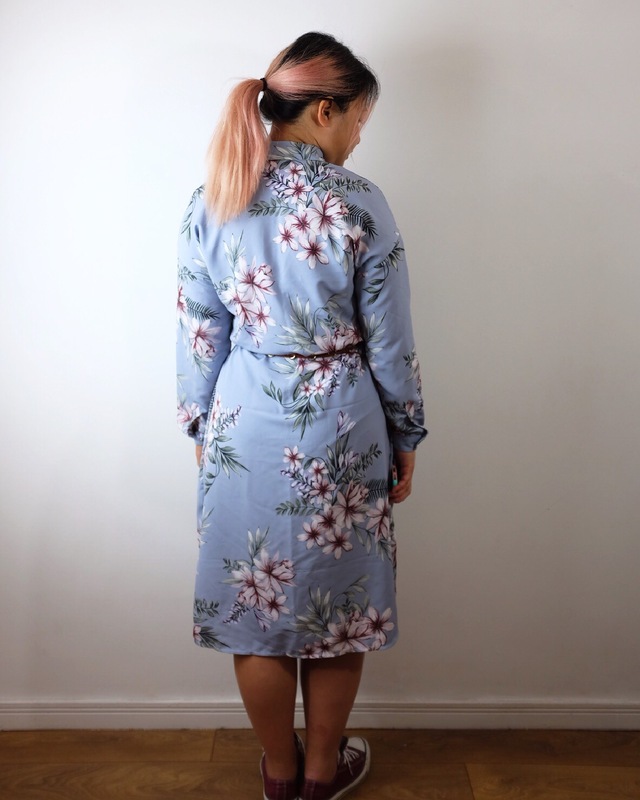 The mélilot looks amazing as a dress, I love the fabric you chose too. I love your Dress! Super classy, I love the length as well!